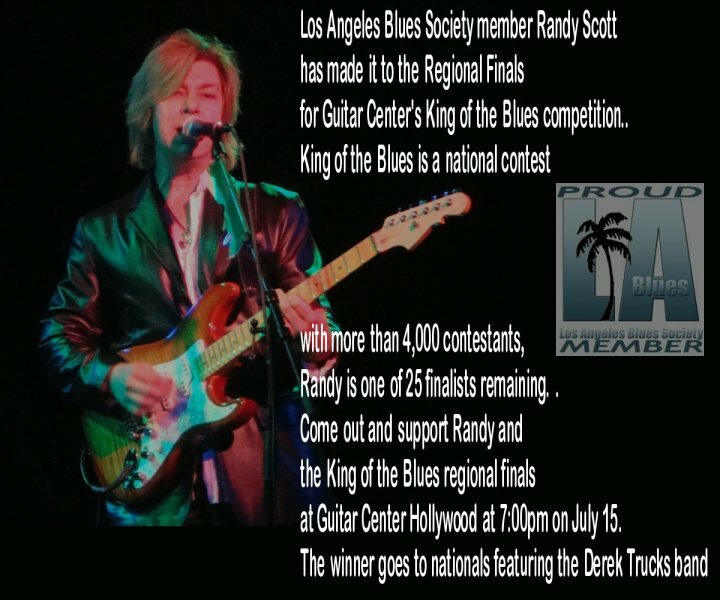 RANDY SCOTT IS ONE OF THE FINALISTS FOR THE KING OF THE BLUES CONTEST,SPONSERED BY "GUITAR CENTER" SEPTEMBER 2ND 2010 HOLLYWOOD CA. TOMMY CASTRO AND YOUR BAND! 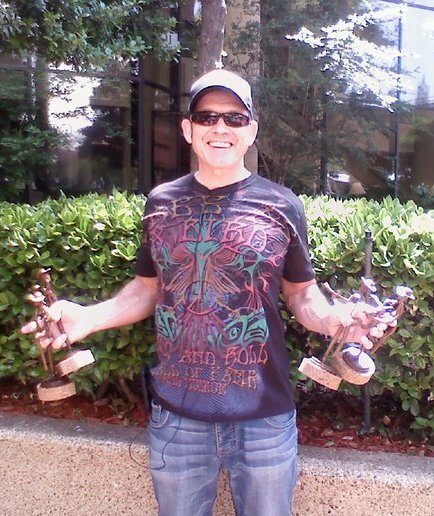 Tommy Castro,took home the most trophies of the night with four, including prizes for Contemporary Blues Male Artist of the Year, Contemporary Blues Album of the Year, and the coveted B.B. King Entertainer of the Year award. He and his five-piece backing group also won the award for Band of the Year. 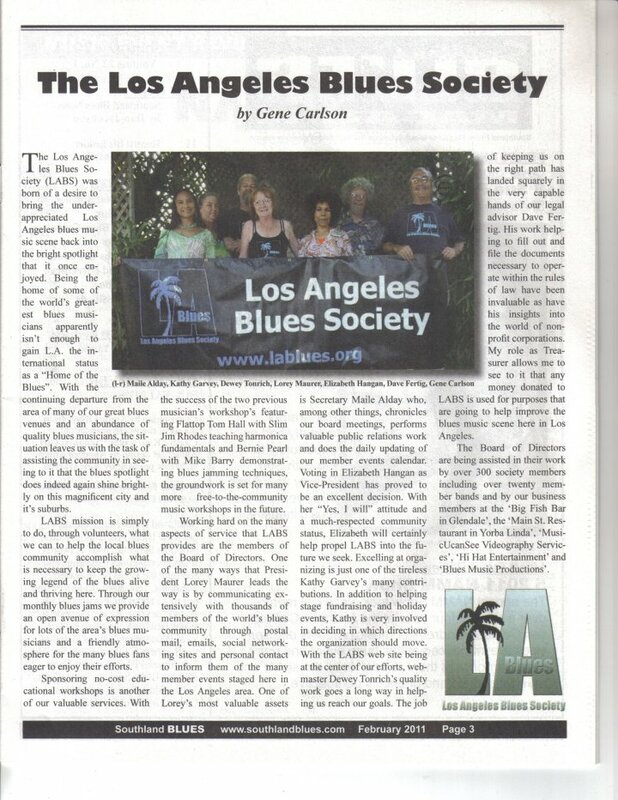 make the Blues jam such a success Sunday afternoon. The players who came down to jam were all excellent musicians who showed great patience as well as great talent. Sometimes an open jam can be like herding cats, but everyone was a cool cat, and my only regret is we couldn't play 'til midnight. Everyone had something to say, musically and I think everyone had a great time. Thanks to all of you! were a few who also stayed and didn't have the opportunity, or we just missed you in the excitement. The good news was we had a fantastic turnout with top musical talent. the food was good, the prices very reasonable, and they are supporting live Blues. Please tell your friends, neighbors and colleagues. THANK YOU MAIN STREET! I want to personally thank Lorey Maurer, Gene Carlson, Maile Alday, and Pat Graham for all their hard work. It is a thankless job organizing these events and everyone has an opinion about where, who, what and how it ought to be. The plain fact is it happened because of these folks. 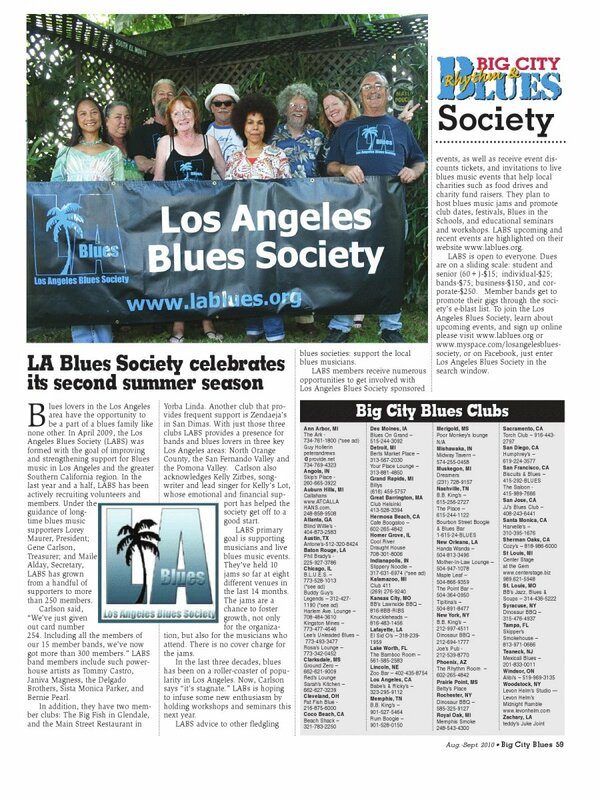 If you had a good time, if you had the opportunity to perform or just enjoy the music, please help support the L.A. Blues Society and become a member. It's a small price to pay to support the Blues. And be sure and say thank you to these folks, they are the best! 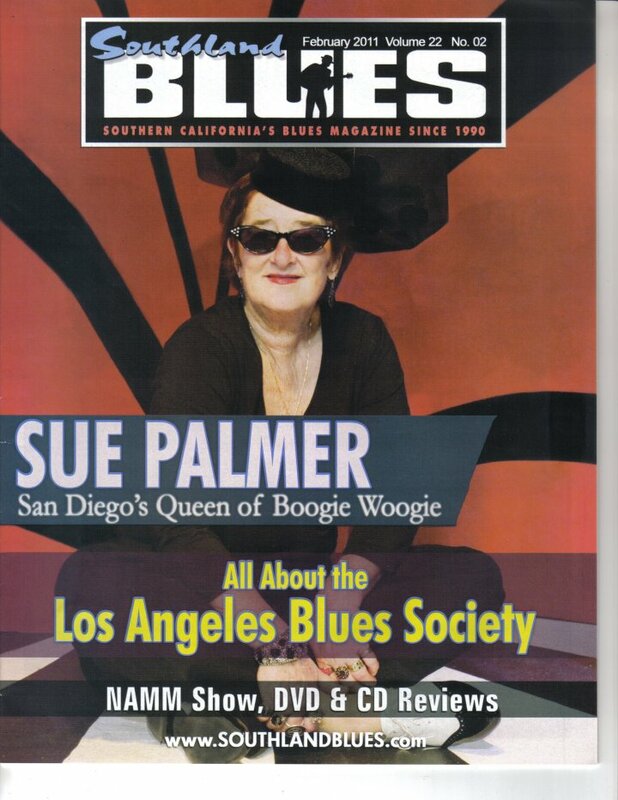 The next LABS Blues Jam VII will be held on February 28 in San Dimas at Zendejas Restaurant, 665 West Arrow Highway, 909-592-6762. It will be from 4pm 'til 8pm and hosted by Toni Dodd and Southbound Blues. Get their early! I hope to see you there!